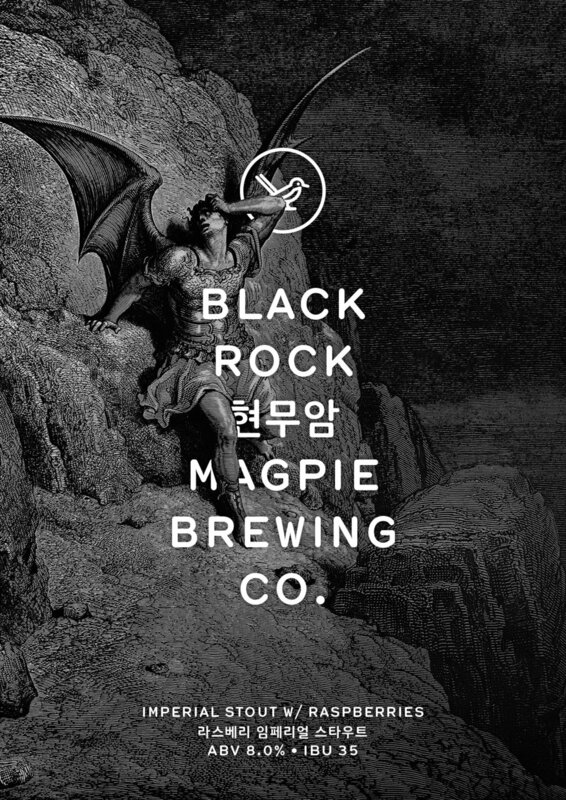 Black Rock — Magpie Brewing Co.
제주 현무암처럼 묵직한 임페리얼 스타우트. 마지막 단계에 라스베리를 듬뿍 넣어 달콤쌉쌀한 풍미가 제대롭니다. 마치 진한 초코렛 케이크를 마시는 느낌! Black Rock is our new reoccurring seasonal, named for the iconic lava rock found all over Jeju Island. The first edition is intensely flavored, with a high ABV and luscious mouthfeel from flaked oats, barley and rye. We also dialed back the bitterness to showcase the raspberries added during fermentation. Think raspberry glaze on a towering slice of chocolate cake.